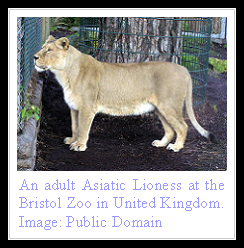 Amongst the most regal animals on earth, the Asiatic Lion or Asian Lion is one of the two subspecies of lions extant. Slightly smaller than its African cousin, the Asiatic Lion is under dire threat as a subspecies and is struggling for survival. Its origin as a subspecies is relatively recent considering evolutionary terms, occurring around one hundred thousand years ago. Panthera Leo Persica, the great cat once roamed over a range extending from Greece to South Asia, but relentless human persecution has meant it is now restricted to a single reserve in the west Indian state of Gujarat, by name of Gir Forest. Apart from size, the other features that distinguish the Asian Lion from African Lion include a bushier coat, smaller mane that exposes their ears, a central skin fold that runs across the belly and longer tufts of hair at elbows and tip of tail. Weight is in the range of four to five hundred pounds for males and two hundred and fifty to three hundred and fifty pounds for females. Body length is between six to seven feet excluding a three foot tail, with females being smaller, though larger individuals of around nine feet have been recorded. Asiatic Lions live in dry deciduous forests and scrub lands of the isolated Gir Forest of slightly over one thousand square kilometers. Between three hundred to three hundred and fifty individual cats exist in this sanctuary in an overcrowded environment, often straying outside park boundaries and coming into conflict with locals. Prey includes Spotted Deer, Sambhar, Goat, Nilgai, Buffaloes and even some smaller animals. Cattle are often attacked and killed and so are camels, bringing them under ire of locals. Attacks on humans are more frequent these days owing to the shrinking habitat and growing numbers of lions, pushing them more often into bordering human territories. Social animals, Asian Lions live in smaller pride units than their African counterparts. A couple of females live with one to two males who are somewhat solitary and come together when the family dines. The lesser numbers in prides in these lions are often attributed to the smaller prey animals that are available to these hunters, making it difficult for the social cats to share in large numbers. Hunting is cooperative and chiefly done by females, with males joining at times to bring down bigger prey like buffalo. Also known as Persian Lions (owing to their period of existence in Persia) and Indian Lions, these majestic big cats have only one sanctuary on the planet, the Gir Protected Area of Indian Gujarat. Millions of dollars have been spent in creating a separate reserve in Kuno-Palpur National Park in the central Indian state of Madhya Pradesh but the State Government of Gujarat refuses to lend a few of its lions to populate the new sanctuary which is now believed to be ready to receive its first batch of the great cats. It is widely believed that the Gujarat Government wants to keep its monopoly on the tourist trade by keeping its troubled lions jammed in the only place in the world where they can be sighted in the wild, thus bringing the entire subspecies into risk through inbreeding. Furthermore, a single epidemic or environmental catastrophe can wipe out the entire wild population of the last lions of Asia. Asiatic lions begin to mate with the coming of winter in October and November. Pregnancy lasts near three and a half months (one hundred and three days) following which a litter of three to four cubs is born. The young are introduced to a solid diet at three months and begin hunting at nine months of age. They gain independence when they are an year old. Maturity is reached between three to four years of age. A female can successfully reproduce once every two years. Lifespan is up to seventeen years in the wild and twenty four years in captivity. Nearly a century ago rampant hunting had led to the disappearance of lions from everywhere except the Gir Forest where only a handful remained. At that time, the then local ruler of Junagadh, perhaps under advice from the then Viceroy of India, placed a ban on hunting of lions. The ban has continued since then and the lion population has increased over the years. However, the threats they face today are plentiful. Chief among them is the fact that they have limited genetic variability since they have only originated from a few dozen ancestors. This makes them particularly vulnerable to disease. Another problem are the local people who are cattle owners and are having an adverse impact on wild prey population through overgrazing of their animals. Plus there are thousands of wells in the forest dug by locals into which the lions frequently fall and die. Only recently has the government started to raise their boundary walls through collaboration with NGOs. Many farmers have erected illegal electrical fences to protect their fields from herbivores. A number of lions have thus died as a result of accidental electrocution from these high voltage barricades. Recently it was reported that a tribe of poachers consisting of hundreds of people has camped next to the lion sanctuary. The same individuals are reported to be responsible for the killing of tigers that has resulted in the plummeting of Bengal Tiger population in India. Officials are taking action and forest guards are on the vigil but lions continue to be shot and poisoned regularly, resulting in the loss of dozens of these extremely rare animals annually. To add to the misery of the big cats, roads and even railway tracks have been laid across the park, meaning that the already inbreeding lions are forced to live in even smaller fragmented pockets. The rapid expansion of India, according to many, has led to the weakening of authority of the central Government over its provinces. Both the tiger and the vanishing lions of India are suffering as a result. Unless a less selfish approach is adapted by the Gujarat state and separate reserves are populated by the Asiatic Lions, the fate of these spectacular cats hangs in the balance, their current classification being Critically Endangered. 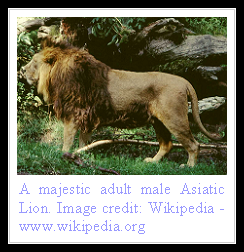 this is very interesting i never knew there was a asian lion. maybe we should try to help these adorible babies! about 460 still live! Would you like to be a cat with only 460 of your kind left??? PLEASE HELP THESE CATS! 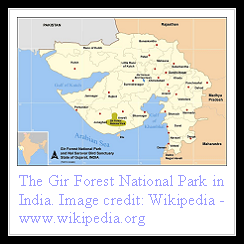 Government of Gujarat have put efficient efforts to protect this ferocious big cat species. The local people have also come forward to protect the Indian Lion and does not spoil their natural habitat. They releasing them into kone reserve india. The weight is all wrong. Thats the weight of african lions. There are only 300 left. Gene pool not big enough. Need between 500-1000 breeding animals to ensure long term survival of subspecies. It would be nice to repopulate previous lion territory in india wit current animlas from gir but in all honesty it would only create pockets of populations and isolate these populations. In south america they have created coridors to link populations together, same with the tiger yet they want to do the opposite with the asiatic lion. Sad to see all our majestic creatures of the wild who r born free either living in captivity or being poached by mankind's inhuman behaviour!!! To make yourselves available FNAF Sister Location Friv Games Thank you both for sharing Holy Mass with us each day Friv Games Twizl Juegos De FNAF when we were called out late at night and any other time and for your support and encouragement in every respect. Friv 2021 Twizl Juegos Yepi Juegos Twizl Thank you for sharing with me a few of your ideas regarding the possibility. aise hi post krte rhe. I like the post design as you make client commitment in the total article. It appears to be round up of every distributed post. A debt of gratitude is in order for measuring the instructive posts.